Best Western Sunnybank Star Motel est idéalement situé dans le centre de Eight Mile Plains. Venez découvrir et profiter de notre hôtel à côté des principaux sites touristiques. Réservation au meilleur prix et offres exclusives toute l'année. 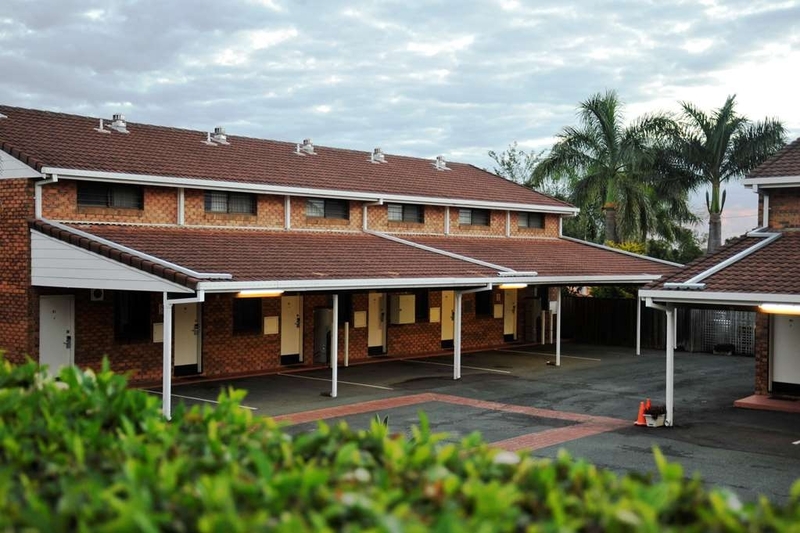 Séjournez dans ce complexe motel et appartements de Brisbane, respectueux de l'environnement et géré par son propriétaire. Le Best Western Sunnybank Star Motel est situé dans la banlieue d'Eight Mile Plains. Proche du stade ANZ, à 15 minutes du quartier des affaires de Brisbane, et à 30 minutes des aéroports intérieur et international de Brisbane. Les autobus vers le centre-ville de Brisbane s'arrêtent devant l'hôtel toutes les 15 minutes. En séjournant dans ce motel primé, vous pourrez accéder facilement à la M1 (Gateway Freeway) et à la M3 (Southeast Freeway). Les célèbres parcs à thème et d'attractions de la Gold Coast se trouvent à seulement 30 minutes. 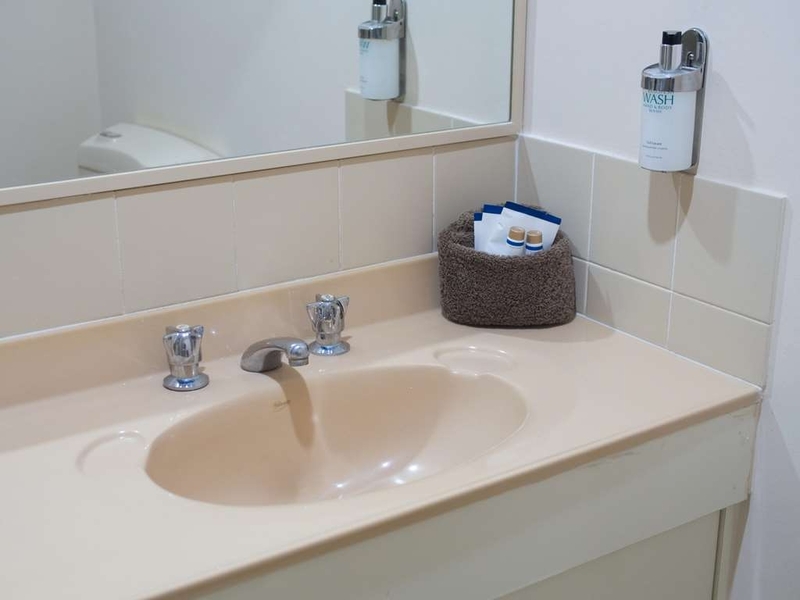 Le Best Western Sunnybank Star Motel offre 60 chambres bien équipées, dont 21 sont des appartements entièrement autonomes de deux chambres (la plupart disposent de leur propre blanchisserie). Internet haut débit, sans fil et gratuit disponible dans tout l'hôtel (même à l'extérieur) !Les équipements supplémentaires de l'hôtel incluent un superbe restaurant, piscine, barbecue et parking gratuit. Le restaurant sur place peut également préparer des repas pour les conférences et événements, jusqu'à 400 personnes. 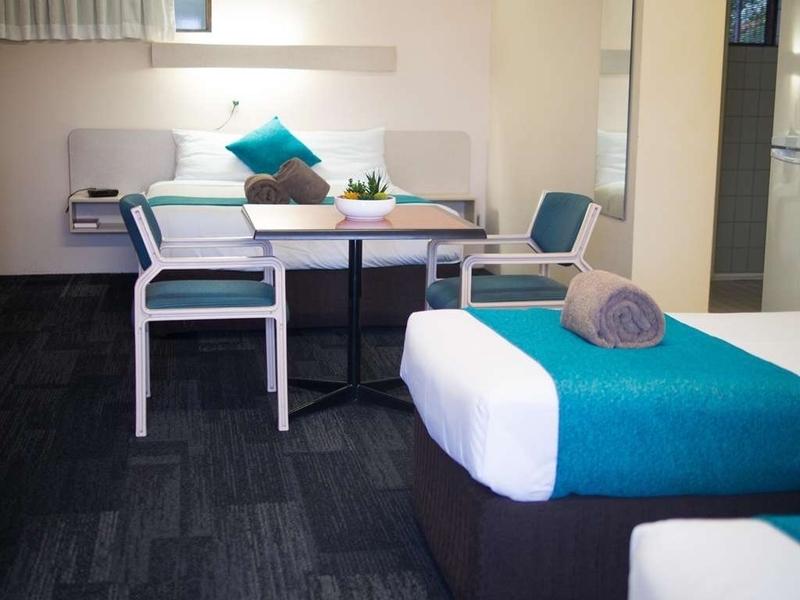 Le Best Western Sunnybank Star Motel est proche d'un ensemble d'attractions et activités locales, dont le centre aquatique Chandler et le centre commercial Westfield Garden City. C'est également le lieu de séjour idéal pour assister à des événements au centre de congrès et d'expositions de Brisbane. 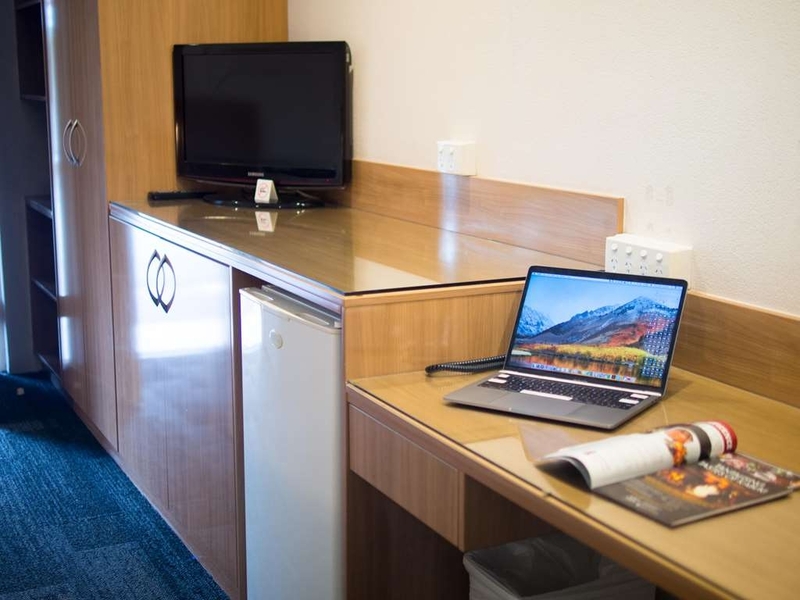 Réservez votre chambre au Best Western Sunnybank Star Motel dès aujourd'hui et bénéficiez d'un service clients professionnel et d'une situation pratique à Brisbane (Eight Mile Plains) ! Passez un excellent séjour !Nous acceptons MasterCard et Visa. Un supplément de 2 % s'applique pour American Express, Diners Club et JCB. "Bring your ear plugs "
Check-in was lovely, room was large and relatively clean. Parking was easy. But there is no sound proofing. Traffic noise was loud. Others walking past outside were loud. Very unrest full. Staying on my own I was glad there was a chain to secure the door. Didn't feel the safest of places. very loud traffic, plumbing and guests. room clean and tidy although toilet looked like it was 30 years old. bed a bit hard for my liking. aircon and internet worked perfectly. check in took forever but it was a busy time due to a concert. 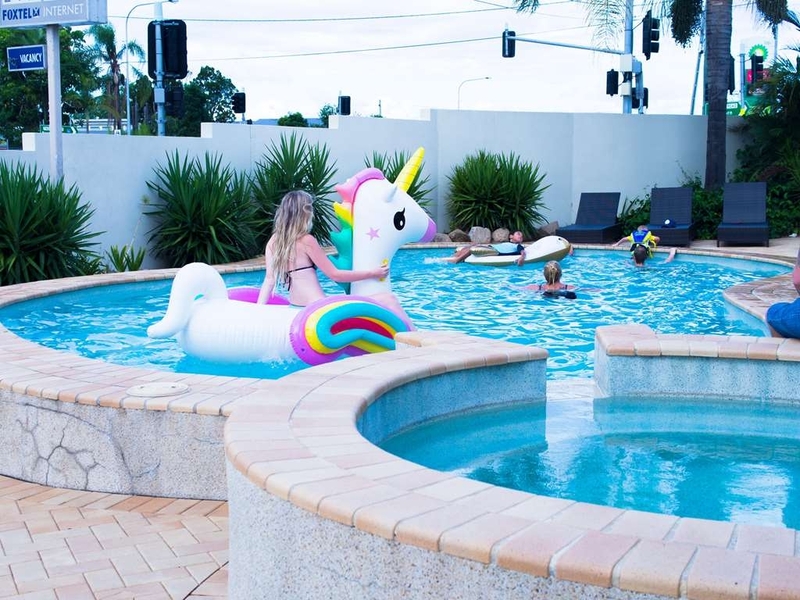 "Good location for swimming competition"
The Sunnybank Star Motel is conveniently located about 15 minutes away from the Brisbane Aquatic Centre at Chandler. Perfect for those two day state swimming competitions. The room was large and spacious with a double and two singles. Big bathroom with shower. Kitchen with kettle, microwave and a proper fridge freezer. The freezer big enough to put a 5kg bag of ice in. Which is needed for injured swimmers. Good wifi connectivity and TV with both terrestrial and satellite channels. Only embuggerance was the batteries were dead in the remote. The Motel is adjacent to a restaurant and across the road is a shopping centre with Spar, pharmacy and a couple of restaurants. Plenty of choice. Good location, pleasant stay and reasonable price. great stay and time at best western sunnybank,friendly staff. Rooms very clean and well cared for. Sunnybank is very central to travel to points of interest in Brisbane. Convenience hops across the road, pool available for swimming. The staff were very welcoming on arrival and departure. The room was clean and comfortable. We paid an extra $10 a night to be on the opposite side to the main road. It was still a little noisy, but that's to be expected in a city. The bed was very comfortable with plenty of pillows. The shower had excellent pressure. The breakfast was enjoyable with perfectly cooked runny eggs. The pool was clean. I did leave a suggestion to the staff that a rail needs to be added for safety and ease of entering and exiting the pool. The entry step is very low with nothing to hold on to for balance, so I ended up falling in ungracefully due to a non-functioning knee. For future swims, I ended up wrapping up a cushion in a towel to give me the extra height needed to sit on the coping to swing my backside around to place my feet on the step. Same with getting out, but it was uncomfortable for my knee. The staff noted the issue and were going to follow up on it with a pool inspector due the following week. We will stay again due to its convenience to get off the freeway, to get to medical appointments and excellent food at The Glen Hotel. Stayed in the two bedroom apartment and it was very good for the price. 3 singles and a king was a great set up and all rooms had air con. Kitchen was great, cutlery and provisions were perfect. Would stay again. "Terrible. Was supposed to stay two but only stayed one"
The location was noisy. Was told because I booked online I was in the noisier part of the property. The room hadn't been clean and the smell was terrible. The pillows and bedding smelt terrible. When I approached staff she said I could move but would have to pay money. We checked out after one night as we got no sleep the first night and had a big drive the following night. They wouldn't refund any of the cost and when I asked to speak with a manager was told the manager was on holidays and couldn't be contacted. I understand the online booking was non refundable but I did offer to pay any commission they would owe for the second night but was told no. There was no mention of how noisy it was on the online booking. Felt totally ripped off. "Noisy dirty and thoroughly disappointing"
This Motel is awful - I had to clean the bathroom before using the shower, it was unbearably noisy in the wee hours and the televison reception is almost non-existant. Despite asking for assistance regarding the television nothing happened, the noise continued for 3 nights, and the cleaning did not improve. Negatives - my room was noisy, hardly slept, other patrons kept waking me, bathroom was dirty and my bins hadn't been emptied. Positives - staff cheerful and friendly, and linen was clean. Nice coffee shop just across the road, and good chinease restaurant right next door. Stayed her before but not anymore. It's to noisy and as a result almost impossible to sleep at night. Constant traffic going past and the odd hoon driver doesn't help. The rooms are ok shower not that fantastic. 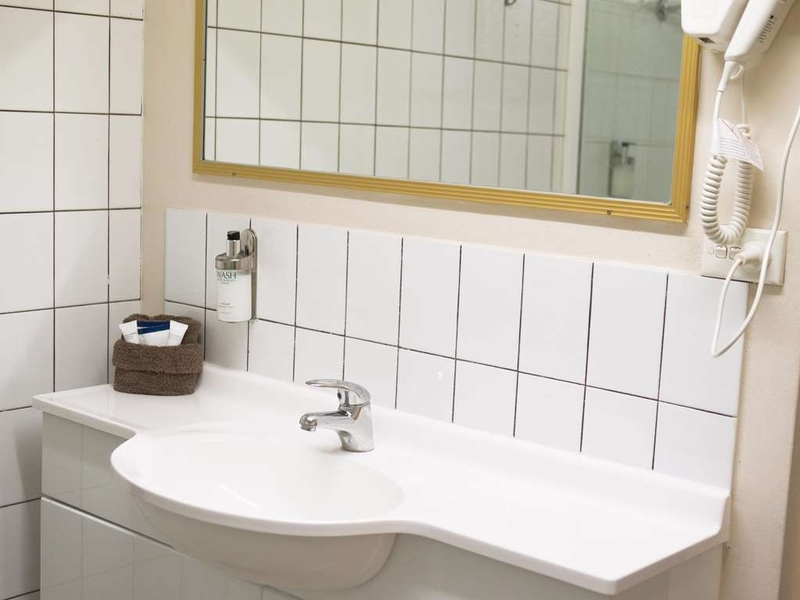 Basic features of a standard style motel. There is easy access to the nearby shops and garden City isn't more than a ten minute drive. M1 and Gateway motorway easy to access. Nearby Chinese restaurant charges back to rooms. Parking is plenty and staff are helpful. The room was really clean and nice. It had a comfy bed, pillows and couch and a nice bathroom. There was a toaster and electric kettle for making tea or coffee. The wifi is fantastic. It is also close to good food. It was a really enjoyable stay. Great location for my needs, staff very helpful and friendly, rooms very clean.l will stay here again, have in the past but different owners now l think. Full oven in the room we had, so was great to warm our Hot Cross Buns in. Very reasonable price for such big two bed room town house. I arrived the motel at noon which was earlier than the check in time but I was lucky enough to get an early check in. Be aware that there is no cleaning service when you stay at the town house. "Great town houses for a family stay"
We had a couple of families book two town houses for the weekend. We had adjacent units and had a terrific time, including Sunday BBQ breakfast by the pool. The units had great air-con which was very important with the Brisbane weather this time of year. There is a Spar just over the road for provisions and some great local takeaways. Hello Guy, Thank you for the feed back. We are very sorry that you had an unpleasant experience at our motel. 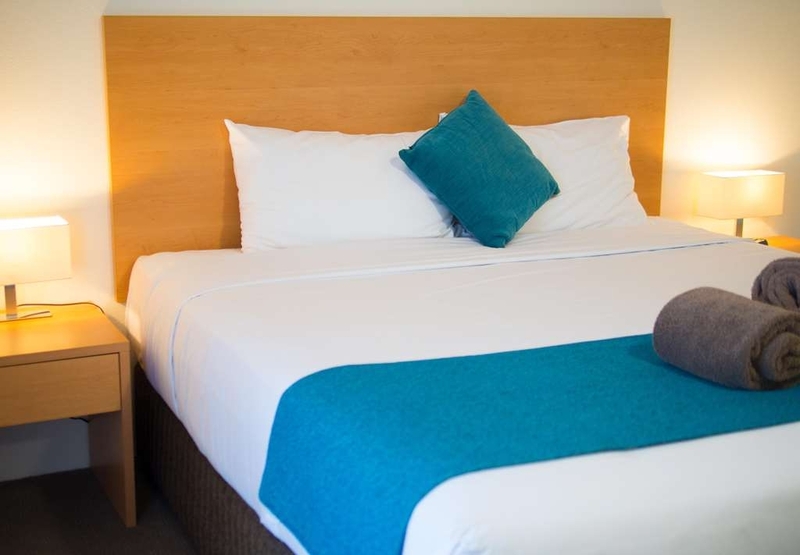 We take pride in our rooms and try to make guests stay as comfortable as possible. We have checked the room that you were in, and cannot find the urine smell. However, we have done a full couch cleanup upon check out. We are sorry you did not enjoy your stay, but please report to reception ASAP in future so we can see and deal with issues you have. Again,Thank you for the feed back. The price was significantly more than advertised. The only positive was that it was clean. It is an old poorly maintained motel. Insufficient parking spaces for the number of rooms. Reception comment was "first in best dressed"!. Bathroom door was swollen and required a sharp two handed pull to open. Aircon was mounted high on the wall but no remote available. TV remote inoperable. Bathroom exhaust fan so out of balance it made the whole room vibrate and was embarrassing if used in the middle of the night. Very noisy. Free parking. Two bedroom town house booked. Clean and big. Facilities good except a bit noisy of the drainage. Besides, no free housekeeping is provided. Staffs' attitude are good. A small shopping mall is opposite to the hotel. "Poor cleaning makes this place a let down." We travelled to Brisbane and found that the accommodation near to where we were attending a family event was unavailable so we opted for this place about twenty minutes away. Not the best choice. Our room was not properly cleaned with food residue in the room fridge, mould in the bathroom, rubbish in the desk drawer and a distinctly faecal smell in the bathroom/toilet which could only be moderated by placing flowers from a jasmine inside to take away the foul smell. The pool however was warm, well maintained and refreshing. Definitely off the go to list for the future. This was my first experience in a motel and I was pleasantly surprised.. Very clean, white sheets, amenities, clean bathroom, TV and air-conditioning. Plus there's shops across the road as well as a bakery and cafe and a great Chinese restaurant next door for dinner. I would definitely stay there again for next trip to Brisbane. "Good motel with excellent Asian cuisine restaurant." An average looking motel but with excellent renovated rooms. Feature was the adjacent Asian restaurant with great meals, very professional. Only complaint is ease with which you can be confused about vehicle access from a very busy main road but a bit of creative thought will get you there in the end. 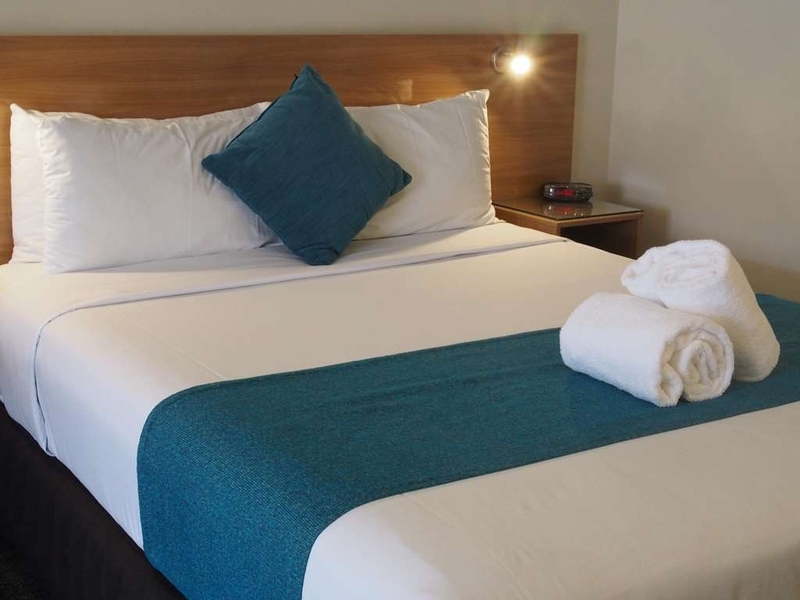 Spacious rooms, great breakfast and friendly welcome from all the staff. This venue is only a few minutes drive from many great dining places and is easy to locate when coming north from the Gold Coast. "Good location but needs a good cleaning"
The Sunnybank Star is a well-appointed and well-run motel. The room was a good size, clean, functionally furnished and well-equipped (iron, toaster, cooling/heating air conditioner, etc). The reception staff were very friendly, helpful and efficient. Our booking inckuded breakfast but as breakfast was only available on weekdays we were provided boxed breakfasts which were sufficient. Also as we arrived later and departed earlier than the reception hours there was an easy and secure process to getting and returning the room card. This motel was great and went above and beyond what I expected after a mix up with the reservation (not motels fault at all) They treated me wonderfully well and found a room for me when I was in a jam. Would highly recommend. Office and cleaning staff were lovely, cannot fault, but facilities need upgrading. Bed was not comfortable and we were there 2+ weeks. Bathroom needs some alteration and electric jug was rusty, could not fit under water outlet in basin; had to buy a plastic jug to fill. VERY noisy, hard to sleep. So sorry, but would not stay here again. Hello Freebutterfly_3 Thank you for being our guest and completing the review. We take your comments very seriously. We have recently upgraded our rooms with new carpets and new beds. However, we are very sorry if the bed wasn't soft/hard enough for your liking. We would change your room immediately had you mentioned it to the staff at reception. Re the jug issue we apologize re the rusty element and have taken on board your comments and have ordered smaller jugs that will fit under tap. We look forward to having you stay with us again and we will definitely hope to provide you with a more enjoyable stay. "Stop people smoking outside of motel rooms"
Bad smokers outside of room and we had trouble breathing fresh air as smoke was coming in under door and through the breakfast serving door crack. I thought that people were not allowed to smoke close to front doors of motel guest. Stayed here a few times and what I like the most is the customer service. When I call to book they remember who I am and what I like. The rooms are generous and spotless. Location very good and even though it's on the corner of two busy roads sleep is not disturbed. Beds are excellent and lots of storage. We always stay here, the staff are friendly and efficient, and the rooms are always lovely and clean, and the beds are comfortable. We will stay here again and will suggest it to friends. It is very convenient. This motel is pretty close to the State Archives and is a good price which is what I was looking for. 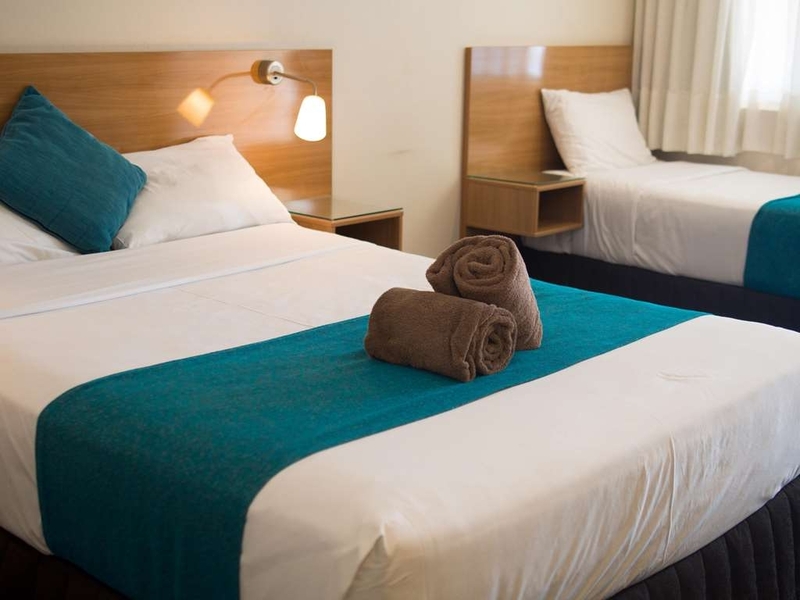 The room was clean and roomy and there is small shopping centre just across the road so can get something for dinner without having to go out again and the staff are friendly. 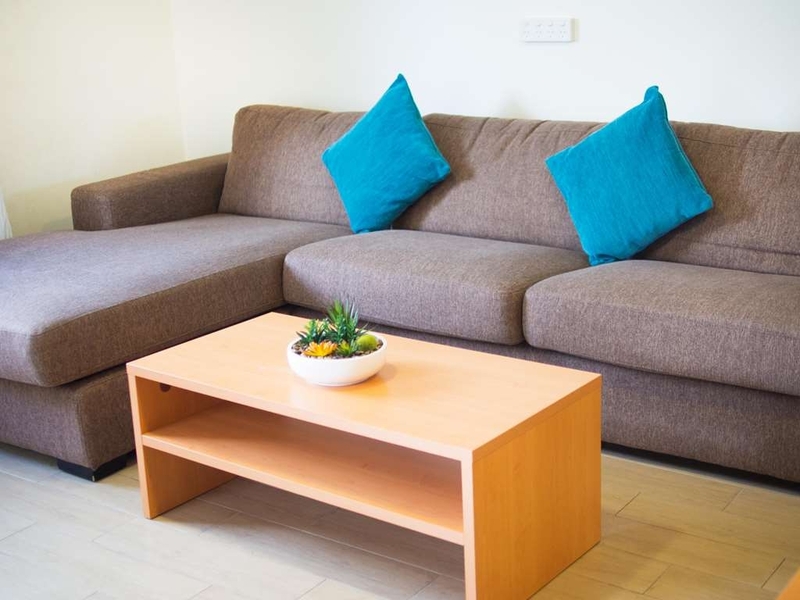 "Great place to stay in Brisbane"
Great place to stay for either a weekend get away or longer for business. Staff we great. I will be recommending this to others as a great place to stay in Brisbane. Ideal having restaurants and shops nearby. Great staff, no road noise even though on a main road. Very handy to everything, shops across the road. Highly recommend, quick internet, decent size room and good decor. Lovely pool setting and clean surroundings. "good for a night sleep, it's a Motel !" Very close to motorway M? and about 30 min to airport. 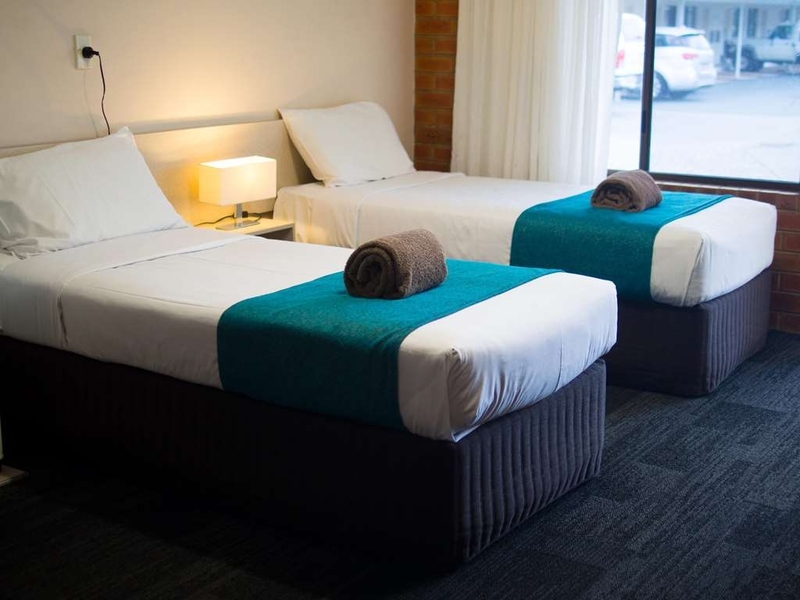 As a Motel it has no room service but across the road are places to buy food and drinks. Rooms are clean and spacy, good standard and I had a good sleep there. About 3 kms down the road bigger shopping centers with plenty of restaurants with very good kitchen, mostly asian of course. Sure not the right place to explore the city center, but a good choice for everyone who needs a clean and proper room for a night sleep with the parking lot in front of the room door. Everything is just around the corner. Small shopping centre across the road, bus stop right side the motel, bus that takes you right in to the city. And for us it's easy off the M1 and access to QE2 stadium is just up the road. I often stay here as it is close to family when I visit from the country. Rooms are very clean, toiletries available ,and request to enter early OK'ed. Staff have booked taxis for me also. The car park is ample so I can maneuver my long car in and out . It is very close to Garden City shopping Centre also . Room was clean and spacious. Bed comfortable. Room shows some signs of age. Aircon is noisy. Good location with shops and restaurants close by. Road is very busy but close to transport. Plenty of car parking. This accommodation is very good. Although on the outskirts of the town it was very handy for public transport, bus no. 150 to the town centre. The accommodation is very comfortable. 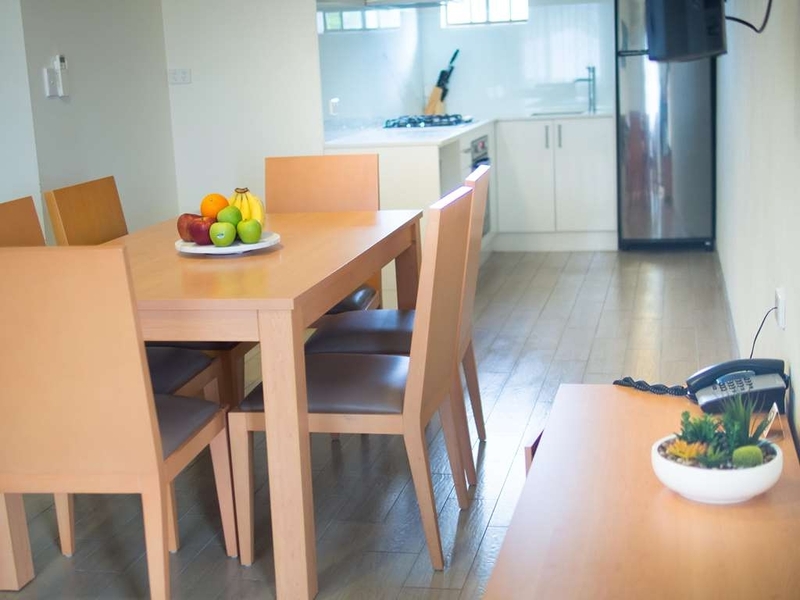 It is equipped with refrigerator, kettle and tea/coffee making facilities. 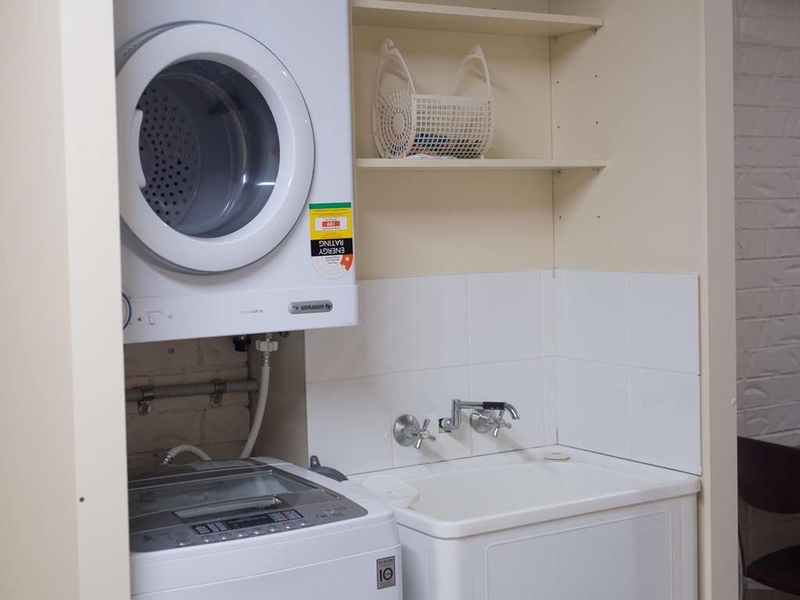 There is a guest laundry and swimming pool on site. Onsite free parking. "Needs a good clean and refurbishment"
The room was not clean, nail clippings on the bathroom vanity next to the basin, Looked to be blood stains on the carpet, shower kept going hot and cold - not constant, sofa was way past its use by date as when you sit down you can feel the wood frame - cushions did make it useable. The room had an odour of dirt and dust if you know what I mean. Glad it was only one night - if it was longer I would have gone elsewhere. Did not respond to concerns even with several emails sent. Inconsiderate to their customers. We had an emergency and immediately rang their mobile number to cancel our booking for that day and the next day. We were assured it will be managed. The next morning we again confirmed the cancelation. We were promised to be contacted once the manager is around as we requested not to be billed. No calls received from them even with several emails sent. We were surprised to be charged for 2 nights from our bank account. We again tried to contact them but they never responded. We will never ever consider this establishment in our future travels to Brisbane. Terrible, terrible service! Hello Cherryl Joyce T, Thank you for your comments re concerns with your reservation and the way it was handled. As we are not sure who you are or when you were booked for It is a little difficult to respond to your concerns. Could you please contact us direct at the Motel and advise name or dates so that we can follow up with staff re your comments. Our customers are very important to us so is important that we have more info to address the issues you have raised. We sincerely apologise but please reply to us as said prior we can't address issues with out more information. Kind Regards Sherry. The rooms are a great set up, nice and big and the motel is in a great location. The Town houses are self contained which made life so much easier. Plenty of parking which made things very easy for us as a big group. Also the rooms where very tidy. "Nothing Special- but has a great location"
This is an average type of property. Loved the fact that I could park my motorbike right outside the room and that there was undercover parking. The room was clean (tiled floor- always an advantage) and spacious. This motel is located fairly close to the M1- great if you are heading south like we were. Plenty of places to eat within walking distance. "Perfect for a trip away"
Staff were fantastic, polite, kind and respectful. Great place with everything that you need. We were able to sleep in peace and quite. We were placed in a quite space, corner rooms are the best. The manager Charise is amazing, runs the place really well, never had a manager check in before to see how you were going. Cheers BEST WESTERN. We stayed here for one night and found it to be clean and comfortable. We received good service and the hotel is located directly across from a small shopping complex. It is also a short drive to Brisbane and surrounding areas. The room we had we right at the front, next to restaurant and main road. It was a little bit noisy during the day and early night but was quiet in the morning. The room was clean and the bed was really comfortable. There were two doors into our room and when we returned from being put at night the second door had locked and we could not get in. We called reception and received very prompt service and we were able to access our room. 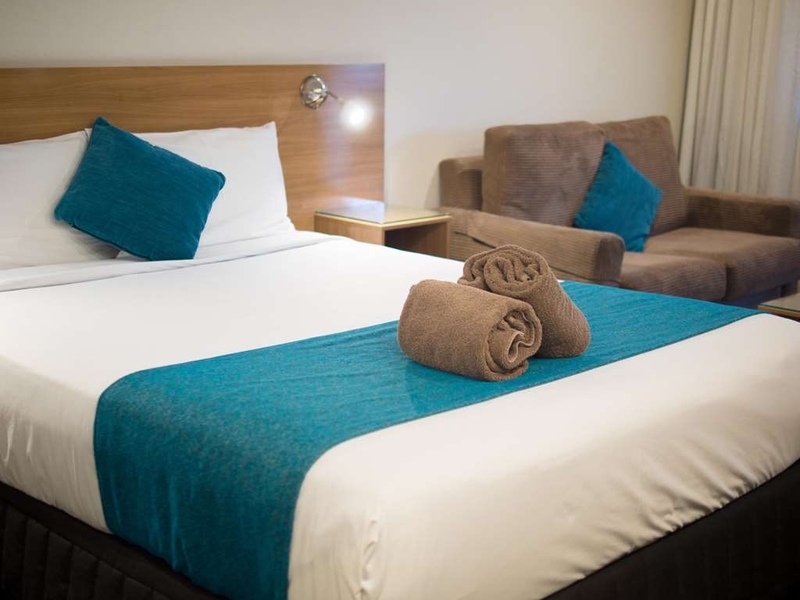 "Clean, Comfy and good size "
I stayed here for a week and a half on business and cant complain about anything, service from the moment i checked in has been outstanding. Very friendly staff. Room was clean and comfortable. I will definitely stay here when i return for business. Our room was the budget room and it was better than expected - better than website photos. The shower is massive and very clean. We only stayed the one night - but it was very pleasant. We would definitely recommend. I enjoyed the experience every stay. Stayed on 5 different occasions in august and each time was a great experience. Loved the little gazebo and the pool area was a lovely entertaining space. Beds were so comfy and I wanted to take the pillows home. The only negative would be the brekky was inconsistent each stay and quite expensive. But some weeks it was great. Excellent, equal to any stays with Best Western that we have had in Europe, Canada and the USA. The facility was modern, clean and welcoming. The staff were accommodating and friendly. This establishment is now of Five Star quality. the smell of bleach gave me a headache even after keeping the doors and windows open for a few hours; there was no soundproofing so anyone walking past or next door would wake me up and the traffic was really loud; there was no microwave. Very good location, small shopping centre across the road with everything you need. 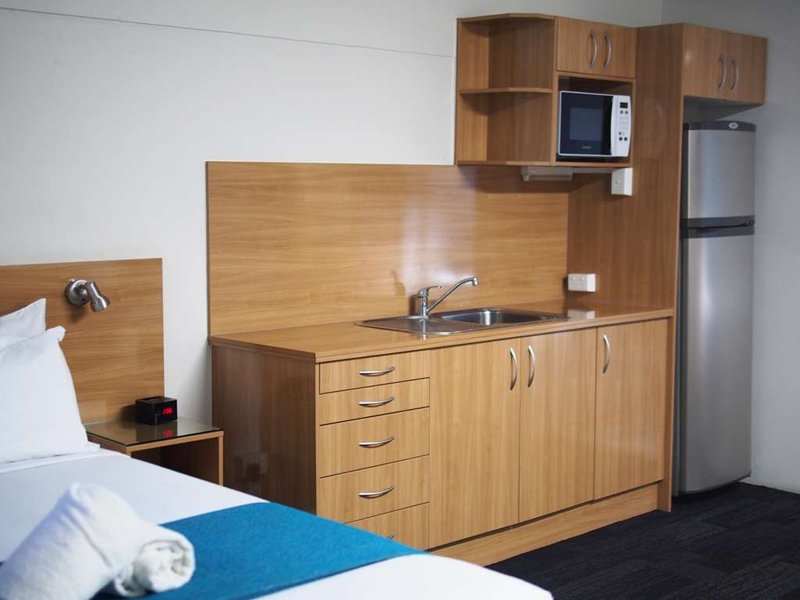 Large rooms, very clean and comfortable and well presented. Great competitive prices. Friendly reception and easy book in, quick and no dramas. This motel is clean and the staff are friendly. My advice would be to get a fully self contained room as the normal rooms do not have microwaves...the restaurant attached is Chinese food. It is very close to a small shopping complex which is very convenient. It can be quite noisy late at night. Location was favourable for my requirements, Staff as indicated were very helpful. My experience during the stay left me with the determination to notate the facility, and recommend it to others as well return in the future. Very happy with the service. Very minor issue when I pointed out. Very quickly resolved my request friendly staff. My next trip also I booked already same place. Very convening location. Easy parking and internet facility. My wife, son and I stayed here for 6 nights before traveling yo New York. The self contained villa was moderately priced and was clean and comfortable. The reception staff were friendly. 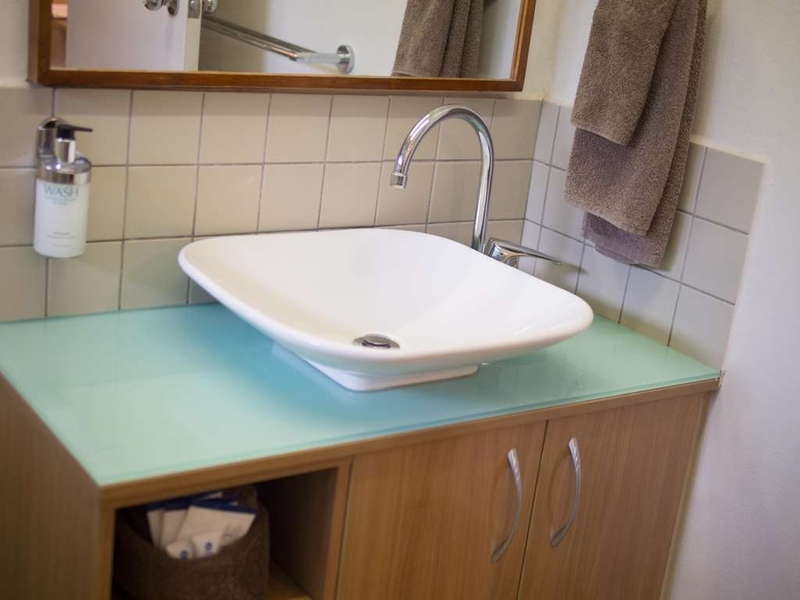 The motel is in walking distance to all amenities, including restaurants, cafes and public transport. The motel suited our purpose and would stay again if need be. My family stayed at this hotel for one night while passing through Brisbane. It's location was excellent for heading south towards to Gold Coast as there wasn't as much traffic to deal with the next morning. The room was a little dated but overall very nice. We all slept comfortably and there was plenty of room for the four of us. Our family room had a great kitchenette with microwave, full fridge, toaster, kettle, large bench space and full kitchen sink - everything we needed to make our own quick breakfast. We would definitely stay there again next time we are passing through! The room was ok but the standard things that should be provided weren't there or not the standard things. Like no biscuits and only English breakfast tea and very little milk. These are standard things that you would expect in a room as I have gotten in almost every other motel I've stayed in. Dear Guest, Thank you for your recent stay with us at Best Western Sunnybank Star Motel & Apartments. We're sorry to hear that our tea selection (English Tea & Green Tea) are not to your liking, and the quantity of milk provided was not sufficient. 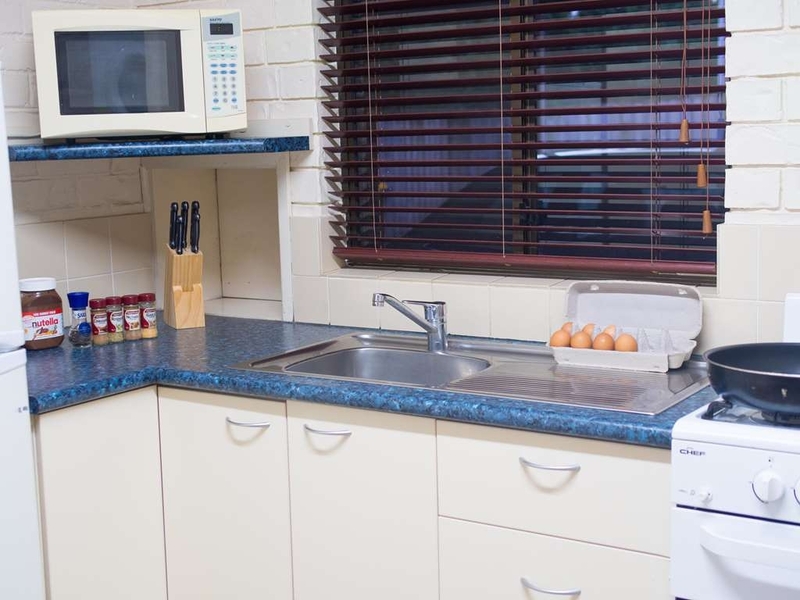 Biscuits were only provided in our Executive Room, but at Best Western Sunnybank Star we aim to provide good quality of refreshments to our customers, We will take on board your comment to include biscuits into our other room types. Once again, We thank you for your time to write us a review and we hope to see you again soon. Warmest Regards. 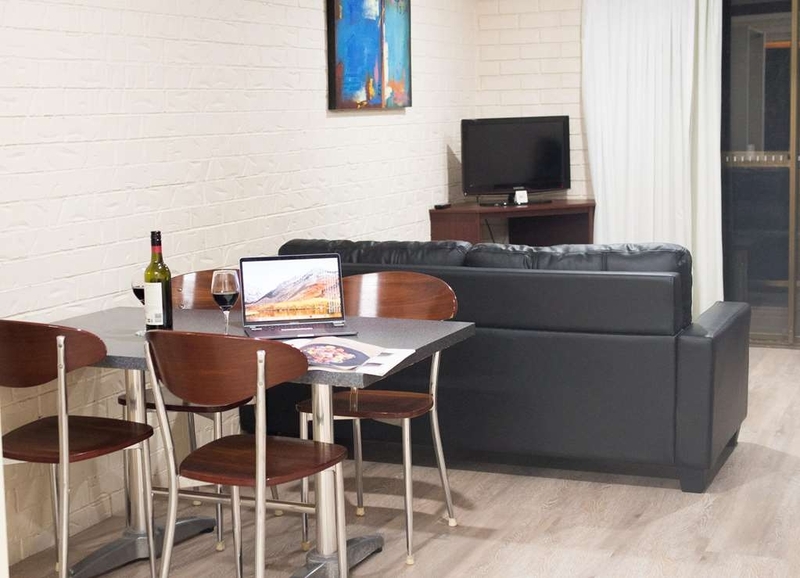 Best Western Sunnybank Star Motel & Apartments. The Room was very clean and well presented. i usually stay in 5 Star hotels. the Best Western compares favourably and is really well priced. The location is excellent and easily accessible. ill use it again and will recommend to friends. The Sunnybank Best Western is a superb location. 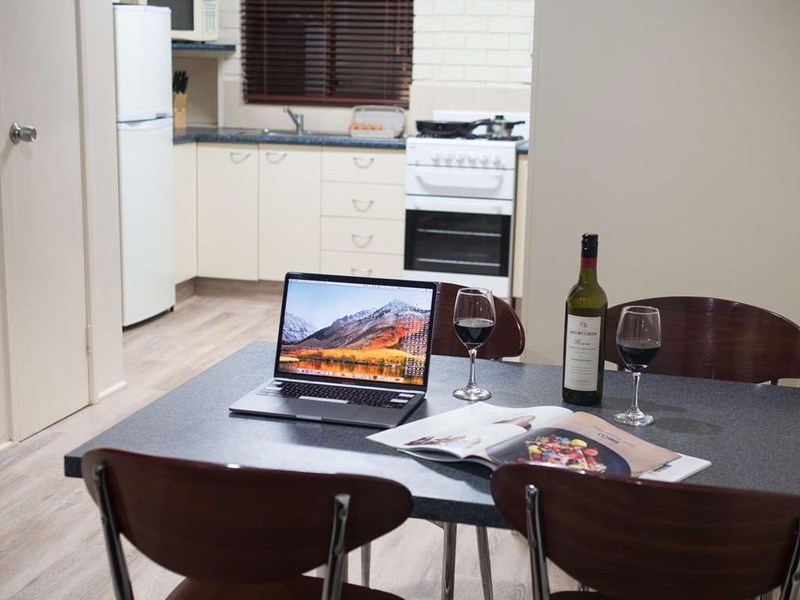 Although handy to city and easy access to the Gateway, it is private and quiet accommodation. Friendly staff are happy to help. Facilities are great with a lovely pool and great parking. Eating utensils and a microwave a must. Have stayed in superior hotels which have these facilities. Very good position and easy to get onto motorways. Very good food markets and restaurants across the road and also within a short drive down the road. Hello 555Knew, Thank you for staying with us recently. We are pleased to here you enjoyed your stay. Re the utensils and micro wave. We have a combination of rooms,some have these facilities and some have tea & coffee making only. The ones with these facilities are called kitchenette Studios. 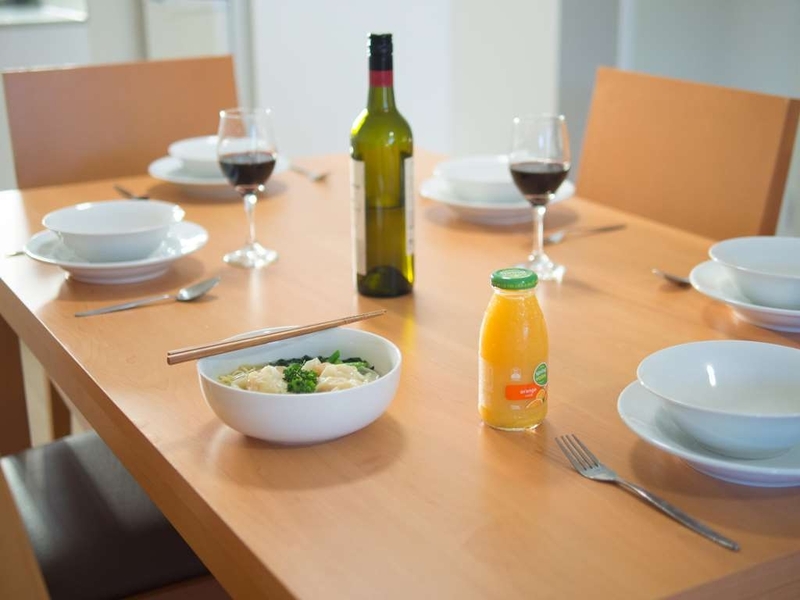 We are always very happy to warm food plus provide utensils at reception upon request. We look forward to accommodating you again. Kind Regards Sherry. We were very happy with our stay here. Polite & helpful staff. Very handy having shops across the road. We had dinner at the Chinese restaurant next door & it was delicious. Our room was a queen & 2 singles. It had plenty of space, a small kitchen area with toaster, kettle, microwave, fridge & electric frypan so we could make our own breakfast. The beds were comfortable. It is situated on a main road/intersection but the traffic noise didn't bother us or wake us up. We come from a small country town with no traffic noise so if it didn't bother us it shouldn't bother anyone. We would stay here again. "This Hotel has two standards"
We stayed at this hotel previously. The rooms and staff were great and the rooms very modern, clean and spacious. Because of this experience we booked again on our return trip but this time got something completely different. The villa was old, very dated and far from the first rooms quality when we stayed previously. We approached the ladies at the desk and explained our disappointment. They were very pleasant and offered us an upgrade to a refurbished room. This would have been ok except we had to pay an extra $80 which we weren't budgeting for. I must say the room we were given was wonderful. 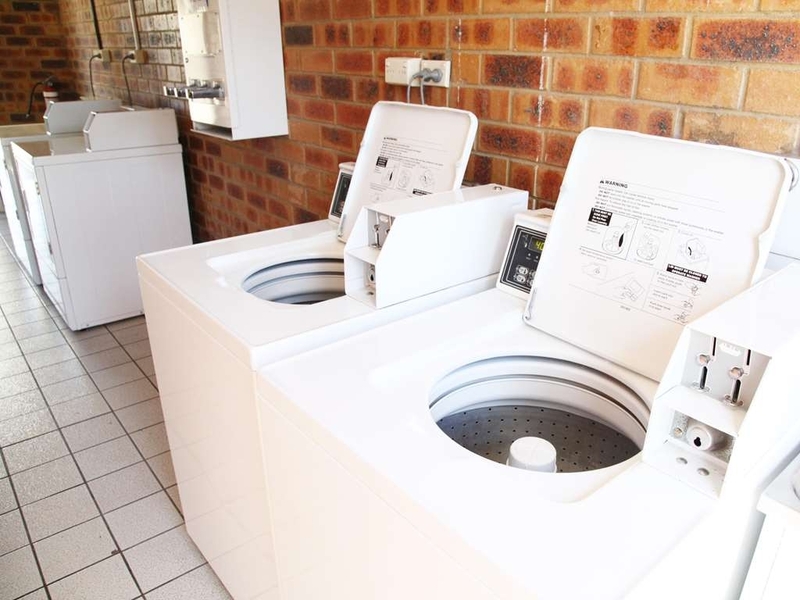 Good location close to Garden City shopping centre and servo and chemist and shops directly opposite. Bus stop straight outside the hotel. 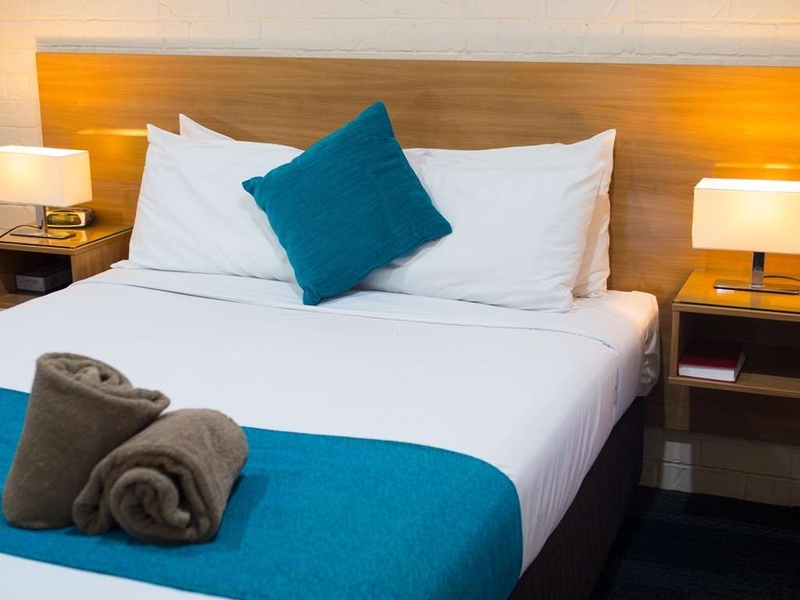 Wonderful, happy staff and very helpful, clean and tidy rooms with extra comfy beds ! "Lousy Service noisy not recommended"
Stayed 2 nights in a executive queen room. Very comfortable , clean. Older style Motel, although well maintained. Previous owner ( Sherie I think ) who works at reception was very attentive and helpful. Tv could have been a little bigger and more Foxtel channels would have been great. Even though it is situated on a busy intersection, there was no road noise. Would stay again. We stayed overnight on a business trip to Brisbane. We found the motel to be very conveniently located and the room was clean with a comfortable bed and nice hot shower. It is excellent to see that the motel management are aware of the necessity for water saving measures. Road noise was a bit of a problem as was the air conditioner, which is a wall mount and was much noisier that a split system. 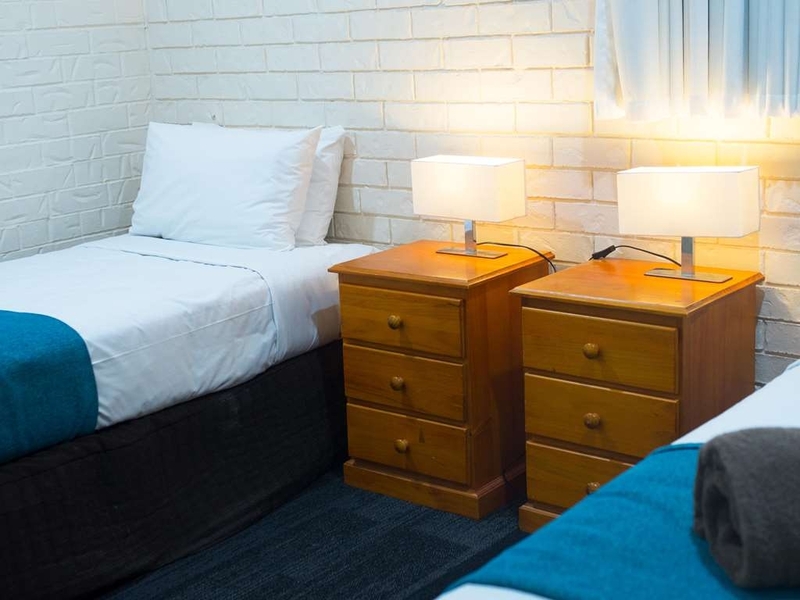 Overall, however, this motel is value for money, being close to buses, trains and shopping centres. 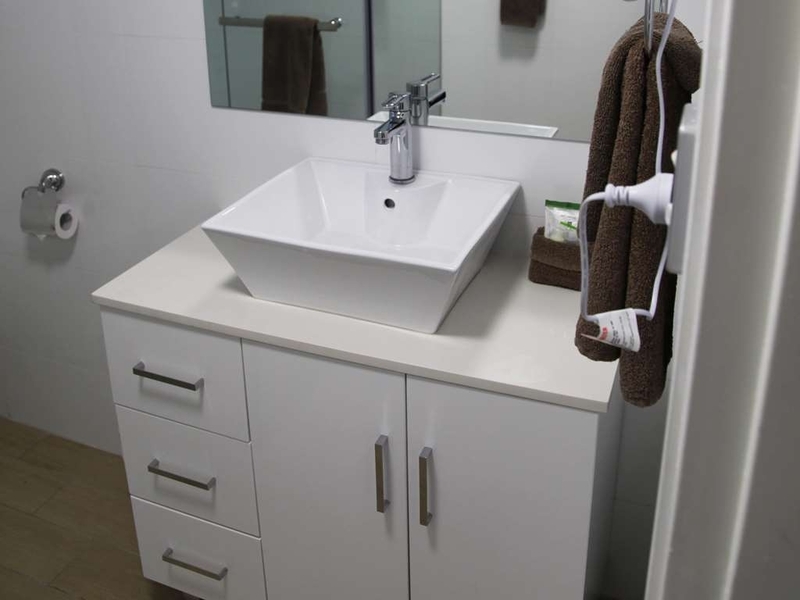 The Gateway Motorway is within easy reach, and accesses the Bruce Highway, the Pacific Motorway and the Logan Motorway. We will certainly consider this motel for future accommodation when in Brisbane. 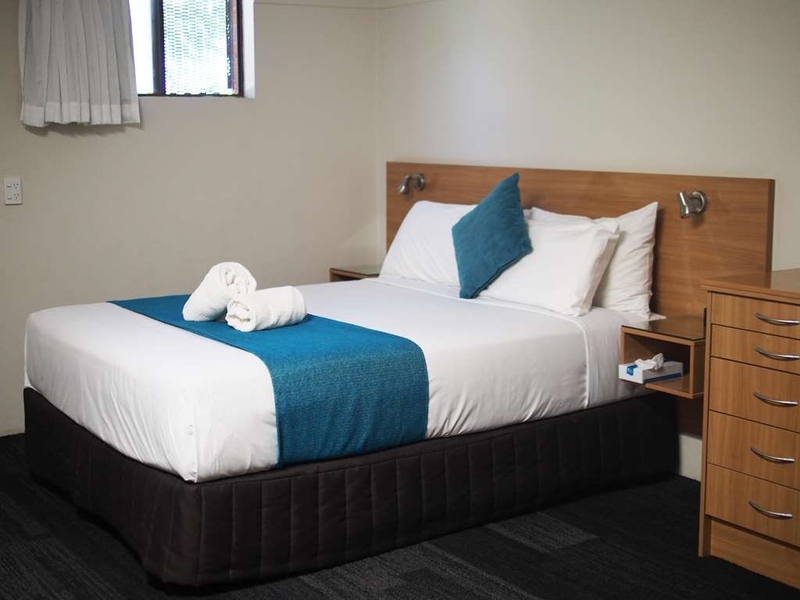 The Motel has the convenience of shops across the road and is also close to Sports Club and Shopping centre. The Family room we stayed in was very comfortable and the beds were comfy. It was our 3rd time staying here and will be back again. Stayed five nights in apartment 35 (2 bedrooms, bathroom and full kitchen) with my daughter and four granddaughters. Management was very helpful in providing a queen bed in one room, and a queen bed and a single bed in the second bedroom. the apartment had been newly renovated and clean. The manager was very attentive to our needs, as were the reception staff and housekeeping staff. All very friendly and helpful.When my daughter and her family checked out, I stayed another six nights in room 20. 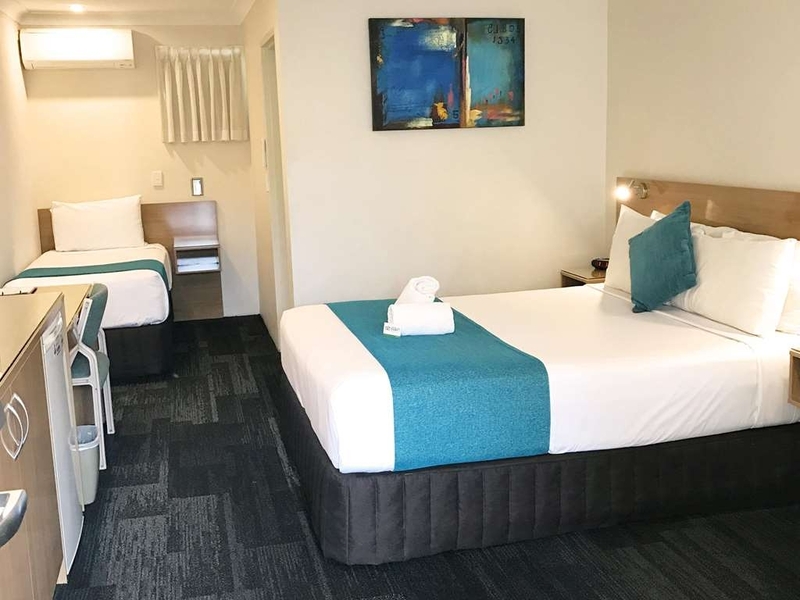 We all thoroughly enjoyed our stay and will definitely stay at the Sunnybank Star Motel on my next trip to Brisbane, as I have always done, since 2004. . Very very good motel in a fabulous position close to everything. 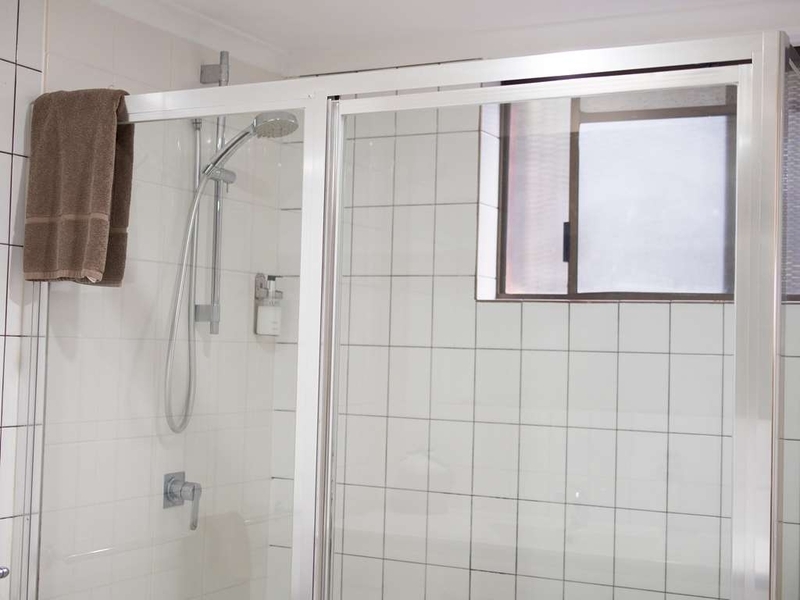 The rooms are large and clean and have everything in them you require, the shower was great with very good water pressure. Shops directly across the road for everything you require.The staff at reception were friendly and helpful. It was good value for money and the room was clean and had decent decor. Stayed Saturday night had no problems with noise. With windows open had some traffic noise but not too bad. Could smell cigarette smoke at one stage from outside but you can get that anywhere. The rooms are not clean. There is mold in the bathroom and the floors are stained. They try to disguise the problems with the use of bleach, creating a strong odor. The motel is old and needs updating. Staff needs to be more professional. The cleanliness of the rooms and professionalism of the staff should be commended. The staff are always very welcoming and can't do enough to make sure my stay was comfortable. I have stayed at this motel numerous times and have never had a poor experience. It was a pleasure staying with people who actually care. 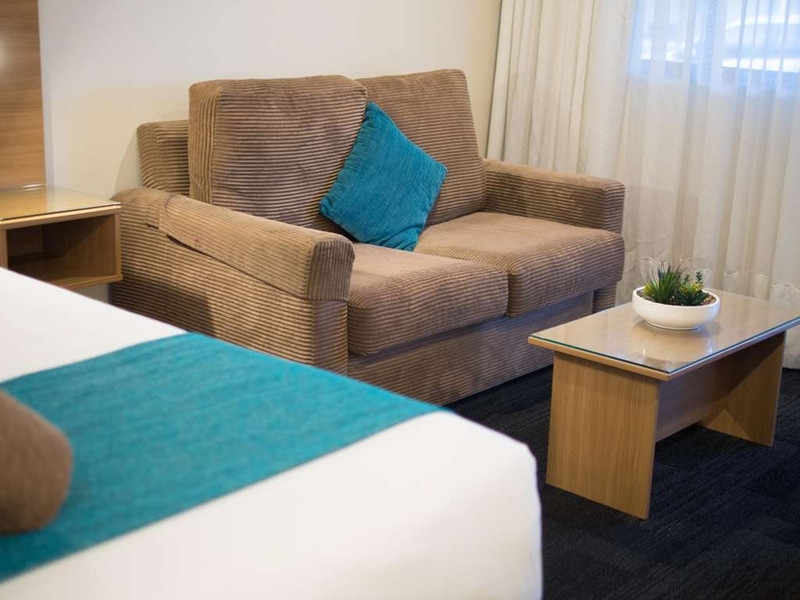 I had a concern on one of the nights and it was fixed straight away in a professional manner.I will be staying here again and will recommend it to my friends and family when staying in Brisbane. "Comfy room - Don't judge by its location"
We stayed in one bedroom unit for 3 nights at beginning of March. I have to say that we were very worried for not getting any good sleep after realize the location, as both of us are bit light sleepers. However, we did have 3 nights' good sleep as the bed was really comfy and we didn't hear that much road noise during the night. 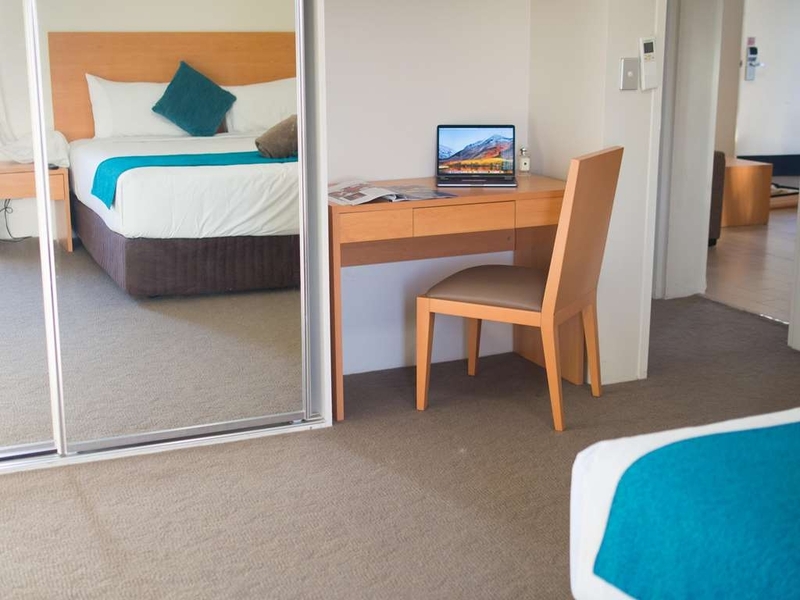 The motel room is very clean and comfy, it also provide you free wifi during your stay. The hotel was an easy access from the main road, however when we turned up our reservation which was booked through hotels.com did not show up on their system so they double charged us! (This was fixed the next day). Upon entering the room there was a horrible smell, like something had gone wrong and they had to sterilise the room. Other than that the room was modern and enough for the night. I booked this hotel via Wotif booking site in late Sep - 2015 and cancelled it few days later for being unsure of other work commitments. As I normally compare prices via tripadvisor, I did so when seeking the same booking again in late 2015. I used tripadvisor's link to Wotif again to check the previous booking if it was fully cancelled. It showed yes. 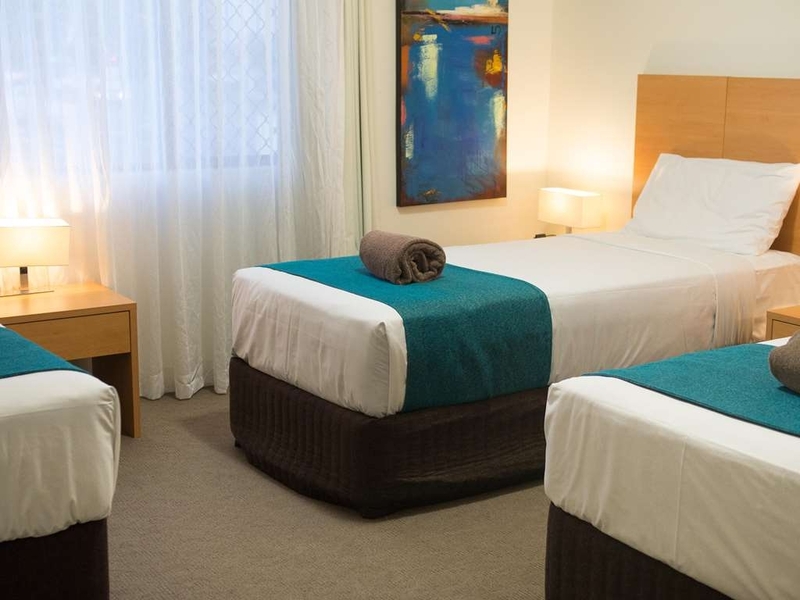 At that time, Tripadvisor shows the other booking site provides better price so that I booked this motel again via that channel rather than Wotif. It was interesting after checking in the motel for few days, the motel staff told me that I was charged for two bookings. Wotif still sent a booking to this motel. So my credit card paid two bookings for 10 days and impacts on my remaining credit card limits (it was my last trip of the 4 trips in two months). Only at that time, I realized that Wotif has two sites (none integrated) linked to tripadvisor. Unlike tripadvisor or other booking sites (no matter where you log on to the site, there is only single source of account credential and things are integrated), Wotif's two sites are not integrated. It causes an big issue. If you are in NZ, you will be redirrected by tripadvisor to Wotif.co.nz. If you are in AUS or US, you will be redirrected by tripadvisor to Wotif.com and they seem to be two different databases!?! In other words, one consumer would not know all bookings stored in Wotif's two sites if you get to them via tripadvisor. It can create potential issues. For I am an IT professional, this was what I observed and experienced. It is suggested that Wotif should integrate the databases of the two sites and allow users to see all bookings in one interface. Luckily, the staff from Bestwestern Sunnybank Motel helpped me to communicate with Wotif's manager about the should-be-cancelled extra booking and I've got 3/5 refund from Wotif and 2/5 refund from Sunnybank. The refund got into my account in time so that my remaining credit card limit became sufficient for my family to go to all other places that we planned (movie world, water world....). This hotel may not be a 5 star hotel comparing to many luxury places but the staff was good enough to ring Wotif again and again to go through this. They do have 5 star staff and a very handy location to access a lot of things nearby. i would careful on this one if you are booking the 2 bedroom apartment the rooms feel dirt and im not sure last time carpets were cleaned the sheets are thin to threadbare. there is no air conditioning in second room or downstairs, which when you are paying this sort of money you would expect. Very Friendly staff, Great food, walking distance to local food outlets. Restuarant was great, beers were Cold. Great sleep with comfy bed and pillows. Apart from a bit of road noise the experience was great. Ask for rooms away from the main roads and you will love it. Overall im more than happy yo stay here for work. The layout of the room was the best. Everything was very clean and well presented. Everything worked as it should and the staff were very helpful with local information. The Wi-Fi was easy to setup and worked flawlessly (something I haven't seen before). The location is very close to shops and eateries. A huge shopping centre complex is a couple of blocks away and the freeway is not very far if you need to get across town. 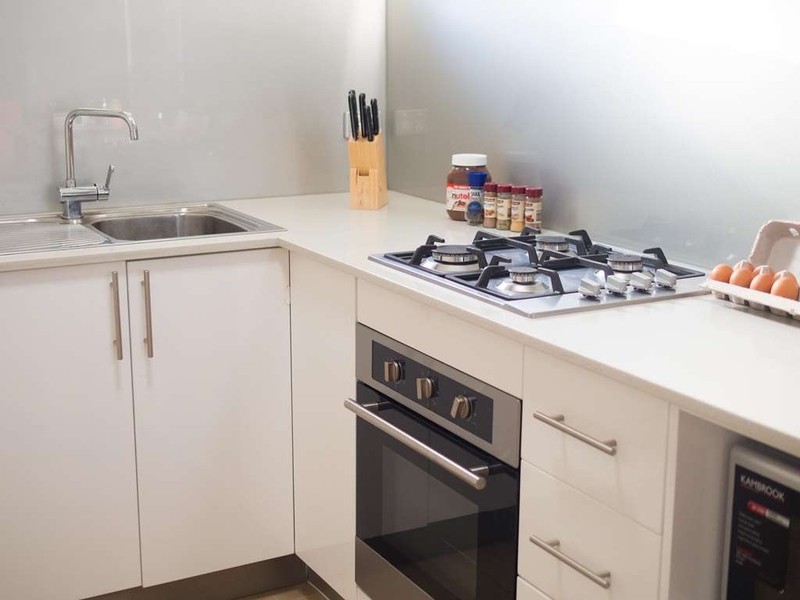 Great location and everything you need is across the road (cafes, fruit shop, chemist, subway, fish and chips, bakery and butcher). The motel was nice and the rooms were presented lovely. It was great that we were able to have and early check in thank you. "DO NOT STAY HERE! '!!!!!" "Good motel in last minute deal"
The hotel was a good deal for last minute bookings. The hotel has mix of good and non-good features. However, my stay was different aimed for business. Hence, the hotel did give me what I wanted. The location of the hotel for my business was close.